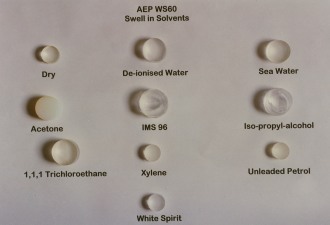 Encapsulation: Chemicals are preserved and isolated when encapsulated with AEP hydrophilic polymers. On exposure to water the encapsulated material(s) are activated. The rate and amount of chemical species released is controlled by the surrounding polymer. Membranes: AEP medium and high water compounds are electrically conductive when ions are in solution and also act as osmotic membranes. 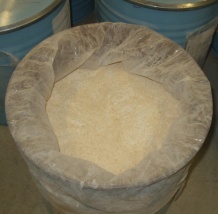 A major application is in the encapsulation of dry chemicals powders. The chemical is preserved and stable until activated by the presence of water or selected polar solvent. The rate of release of the chemical is determined by the rate of diffusion throught the inert hydrophilic carrier; this is predetermined by the formulation and configuration of the AEP matrix. In combination with electrically conductive solutions, AEP materials can form electrically conductive membranes. This has led to major developments in fuel cell technology.